The international award was created to highlight and reward the personal success stories of courageous and successful people and companies along with creative and innovative products. The honorable distinctions are given to people, companies and public figures who confirm the Italian ideals of culture, wellbeing, beauty, elegance, passion, and innovation, which are synonymous to the “Made in Italy” labels. 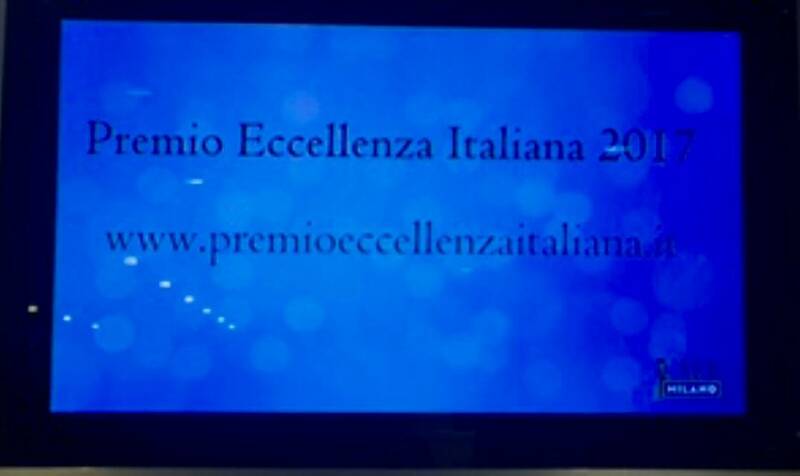 Premio Eccellenza Italiana is the brain child of Italian marketing expert, journalist Massimo Lucidi and the awards committee is headed by George G. Lombardi. 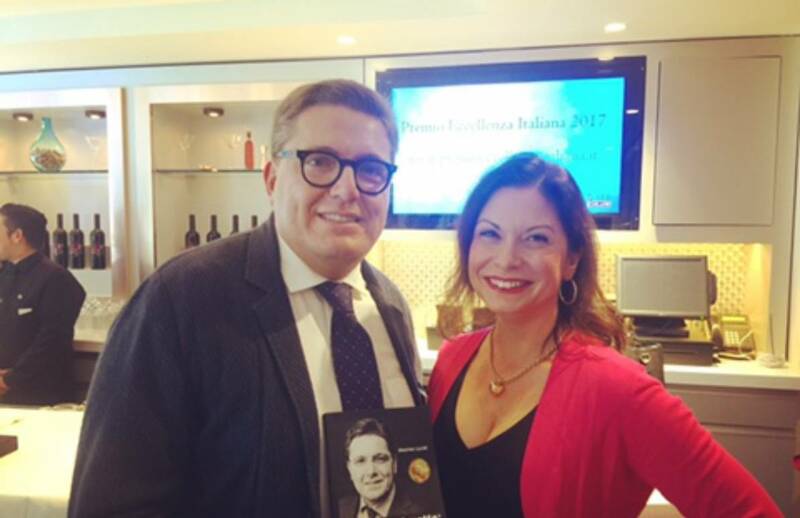 According to best-selling author and journalist Massimo Lucidi, “Il Premio Eccellenza Italiana” –is for who thinks and works with enthusiasm, for who smiles at the future regardless of their difficulties…..” This sentiment represents the attitudes of many Italians, not only in Italy and Washington, but around the world. Names such as the ex- Minister of Foreign Affairs and ex –Italian Ambassador to the US, Giulio Terzi di Sant’Agata, The president of Gianni Versace spa, Santo Versace, nutritional guru Luca Piretta, as well as many other Italian and Italian American celebrities and public figures who live in the United States. In addition to members of the press, many Italian-American residents, diplomats, military officials, artists and businesspeople were present. 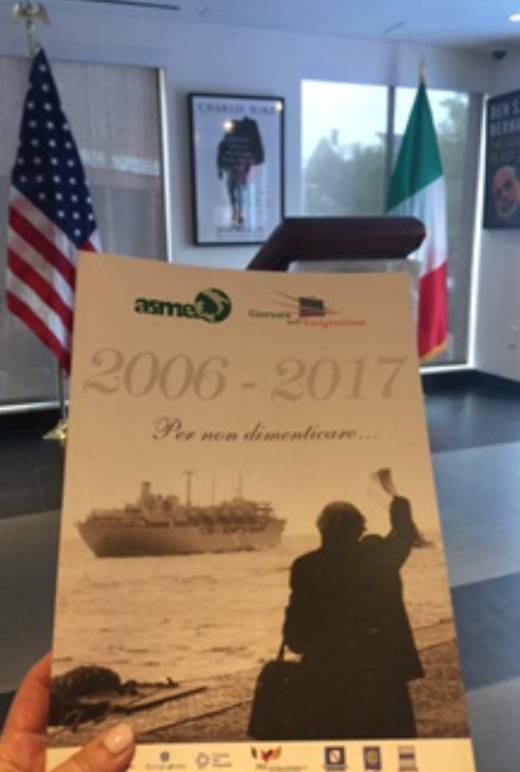 Salvo Iavarone, President of the Associazione Mezzogiorno Futuro (Association for the Future of the Italian South) shared a book dedicated to emigration. Covering everything from cinema to food, fashion, and business – the book details the influence of modern Italian emigres on the world. 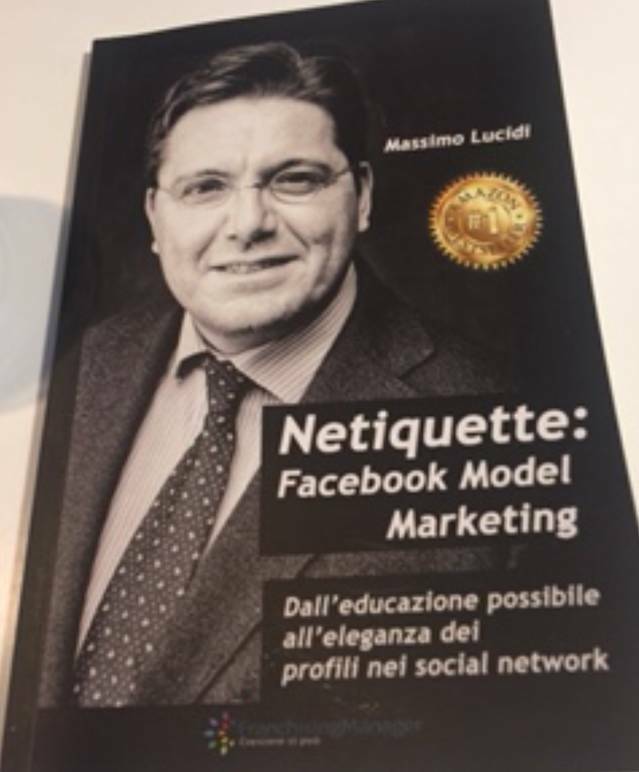 I also enjoyed receiving Massimo Lucidi’s Nettiquette: Facebook Model Marketing. The Amazon best-seller discusses the ever-growing importance of online business etiquette. Delivered in Italian, and to a predominately Italian office, it was impossible not to feel inspired by Lucidi’s passionate commentary. The event was the perfect way to integrate Italian-American achievements of the past, present, and future. 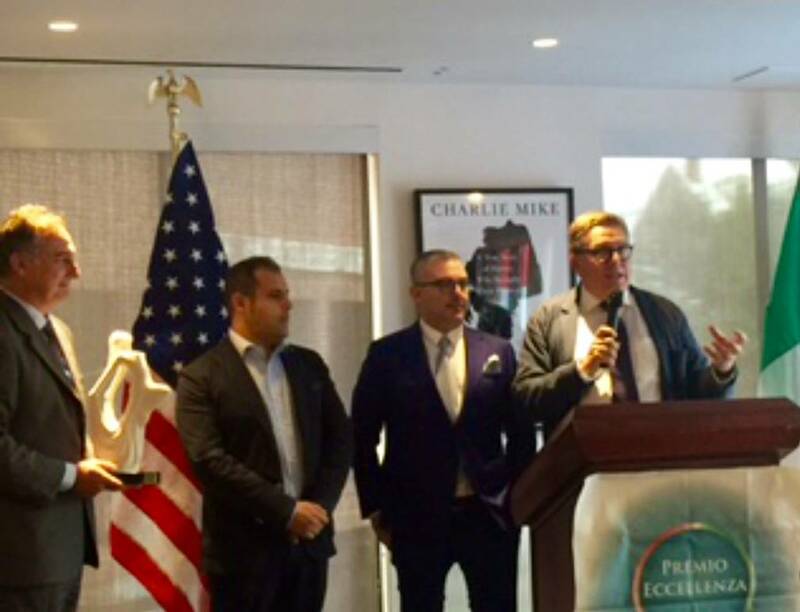 Holding the awards in Washington gave us an even greater lens into the Italian influence in our nation’s capital. I’m looking very forward to next year’s ceremony, but in the meantime, it warms my heart to know that significant Italian contributions are not going unnoticed. As an award – winning, best-selling, author, chef, television personality, and educator, Amy Riolo is one of the world’s foremost authorities on culinary culture. She is known for sharing history, culture, and nutrition through global cuisine as well as simplifying recipes for the home cook. A graduate of Cornell University, Amy is considered a culinary thought leader who enjoys changing the way we think about food and the people who create it. Amy is a food historian, culinary anthropologist and Mediterranean Diet advocate who makes frequent appearances on numerous television and radio programs both in the United States and abroad. Amy’s seventh book, The Italian Diabetes Cookbook was released on January 12, 2016 and was the #1 New Release on Amazon.com. 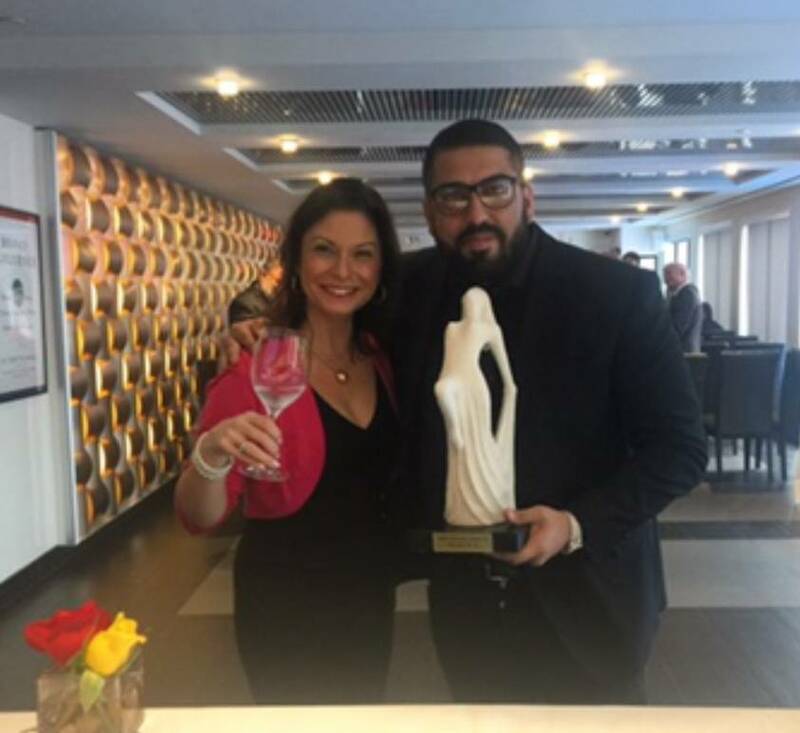 Amy, an American of Calabrian descent, was awarded the 2015 Wise Woman Award from The National Organization of Italian American Women. She is a Culinary Advisor for The Mediterranean Food Alliance who lives in the Washington, DC area and travels to Italy and other Mediterranean countries often.